The ball was another great success! See below for photos. Thanks to all the volunteers who worked to make it happen. Thanks to Muriel and Jim for wonderful music. And thanks to all who came to dance - we hope to see you again in February 2009! 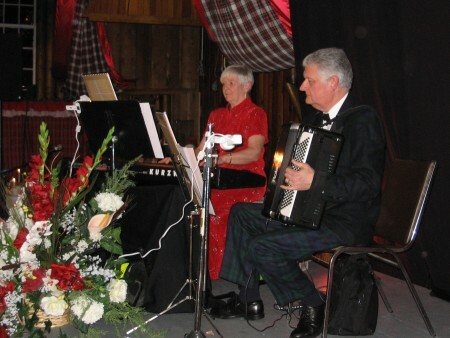 Music by Muriel Johnstone (piano) and Jim Lindsay (accordion). Blackadder House 32S3 Blackadder Coll.